Main Dish | I eat, drink and know things. Since we now have 6 hens, which right now seems to generate about 4 eggs per day. For the winter months, that seems pretty good, but more about them later. 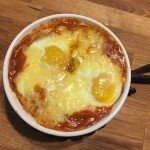 Â On a cold night and in an attempt to use up some eggs, rotate the pantry stock and just make some comfort food the Super Easy Baked Sausage, Beans and Eggs dish was created. While it may seem like an odd combination, this ended up being a great little surprise. This requires almost no effort at all, and really warms you up quickly. 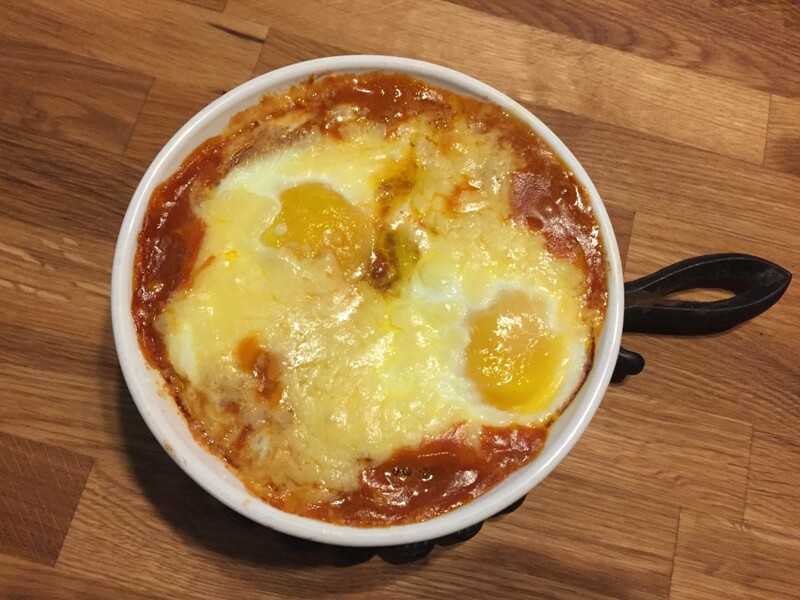 On a cold night and in an attempt to use up some eggs, rotate the pantry stock and just make some comfort food the Super Easy Baked Sausage, Beans and Eggs dish was created. While it may seem like an odd combination, this ended up being a great little surprise. They say every man should leave something to be remembered by. At least I accomplished that goal.